When you have a big dream and you feel confident in that dream, your first instinct might be to sing it from the rafters. In a way, crafting a big dream feels like great news that you want to share with the world. Maybe you should rethink that. Sharing your dreams with everyone can have some unintended consequences that might actually impede your progress. There are always going to be people who doubt you. Behind every successful person is a trail of people who thought they would never make it. Those people didn’t listen to the naysayers, and in doing so, they almost achieved the impossible. Naysayers can be damaging to your self-esteem. If they don’t know what you’re planning, they can’t plant those seeds of doubt. If your idea is something revolutionary, it’s bound to catch a lot of interest. Especially those people who might have the resources to accomplish your goals before you do. Talking too early can put you in a position where someone beats you to your own finish line. Don’t let dishonest, unethical people crush your spirit. Maybe your idea starts in one place and ends in another. Ideas have a tendency to shift and evolve over time. Maybe you’re thinking about starting a business, but while you’re doing the actual work, you find that going in a different direction will work out better. If you’ve already told everyone what your plans are, the last thing you want is other people criticizing you for changing your mind. You might even feel like you’ve let yourself down. Telling everyone about something great feels almost the same as accomplishing something great. Think about it – if you know you’re going to get a brand new car and you tell everyone you’re getting a brand new car, you’re already experiencing the joy that comes with having it. Your urge to actually go get that car will diminish because you’re celebrating something that hasn’t actually happened yet. Don’t pull down the celebration before you really have something to celebrate about. What if your dream doesn’t happen? It’s not a comforting thing to consider, but it’s possible it might happen. You could encounter a roadblock, lose your passion, or feel inspired to find a completely new calling. Then, all of the people you’ve told will know that you never went on to accomplish that big dream you were talking about. Disappointment happens sometimes, and you don’t need the whole world to know about it. It’s better to surprise them with the end result. Some people mean to be helpful, but they’re helping themselves more than they’re helping you. People might get excited about your dream and start adding their own suggestions, influencing and restructuring your plans. Other people might be genuinely worried that you’re taking too big of a risk, and dissuade you from dreaming big because they fear you might sacrifice too much. This dream is about you – it isn’t about anyone else, no matter how helpful they may seem. When you keep your dream to yourself and work towards it in private, you have the satisfaction of independently achieving it. The moment you reveal your journey is the moment you’ve achieved the core elements of what you’ve wanted to achieve. You can say you did it without the help or influence of others, and nothing feels better than that. Ultimately, it comes down to less talk and more action. When you need to make your dreams come true, it helps to move your lips less and your hands more. Isolate yourself from distractions, and start making things happen. This post is contributed by Sarah Davies! Sarah Davies is a careers and education blogger, currently supporting Open Colleges. Being a great fan of self-improvement, Sarah often shares her tips and strategies with all those interested in personal development and growth. Feel free to follow Sarah on her Twitter: @sarah_davies_au. 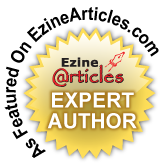 Previous articleSelf-Publishing VS Traditional Publishing – What to Opt for?